The Consol Classics were a short-lived series of stale classics issued in the late 1940s, indifferent in quality and depressing in appearance. 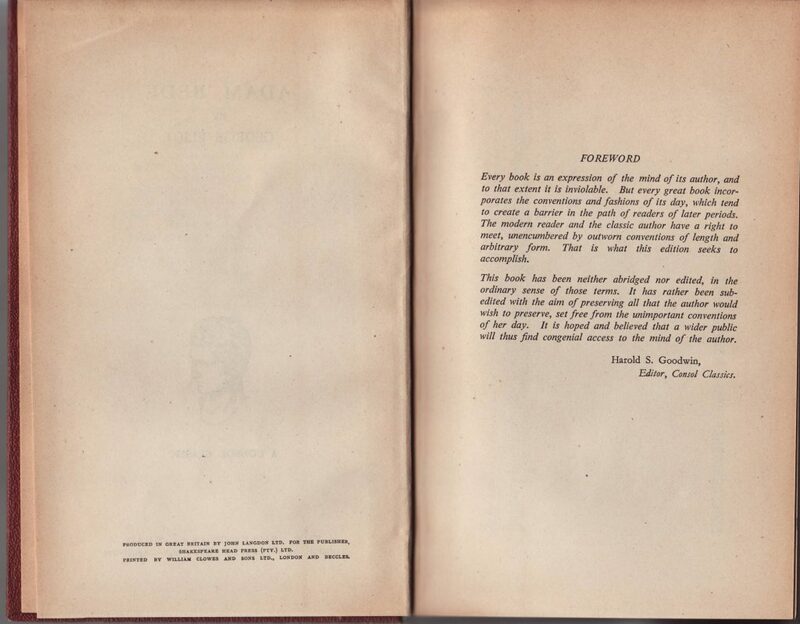 The series seems to have been produced for The Shakespeare Head by John Langdon, Ltd., a minor publisher of fiction and mysteries which seems to have its origins in the late 1930s. The Langdon imprint appears on WorldCat for some titles in the series. Jackets for the series are unique to each title. 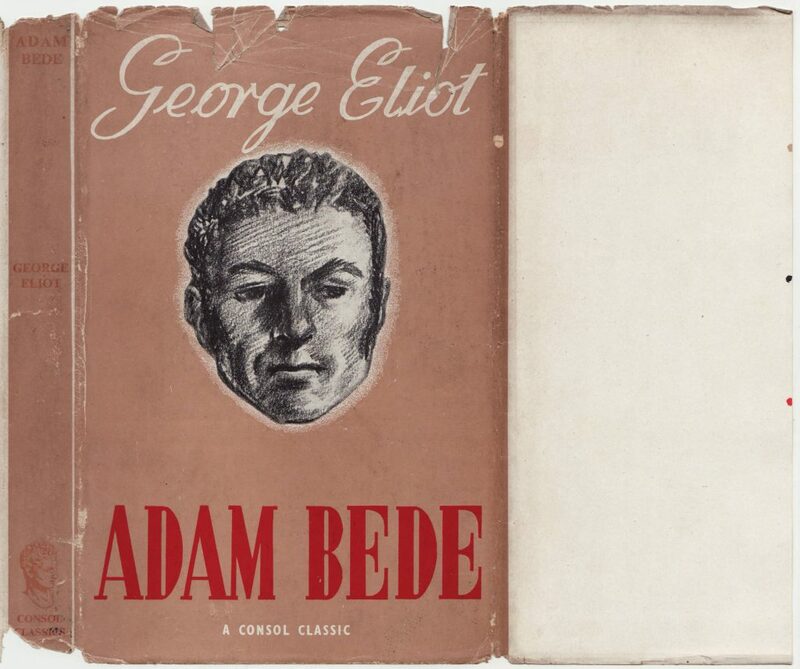 This copy of George Eliot’s Adam Bede is undated, published sometime in the 1946 to 1949 span the series was available. The series name is at the base of the spine with a series colophon, as well as the bottom of the front of the jacket. The front jacket flap is blank. The rear of the jacket includes a list of 11 titles, not including Adam Bede. I can’t find any titles other than these 12 published under the series name. 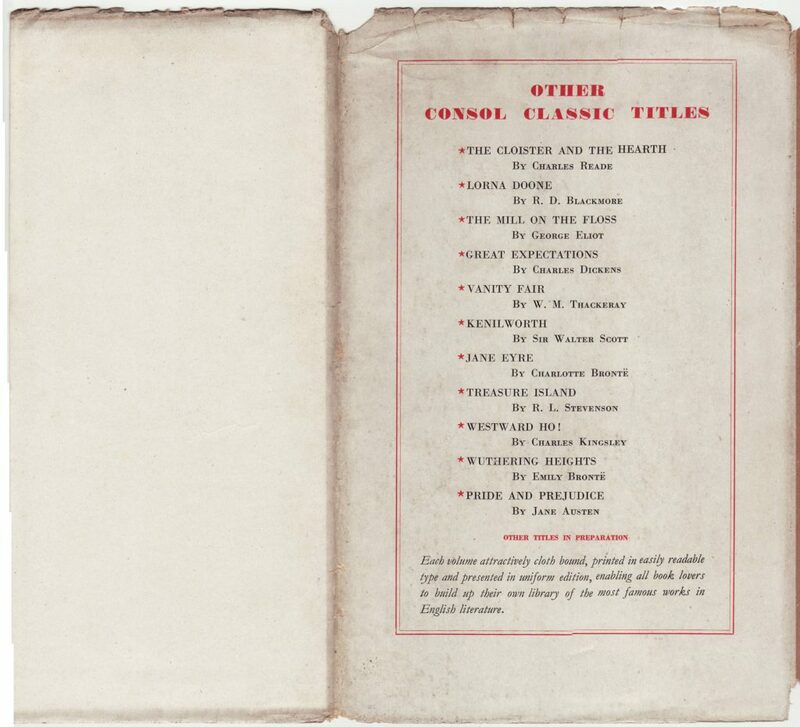 Most likely, 12 titles were issued in 1946 and that was it for the series, despite the claim “other titles in preparation.” The rear jacket flap is also blank. 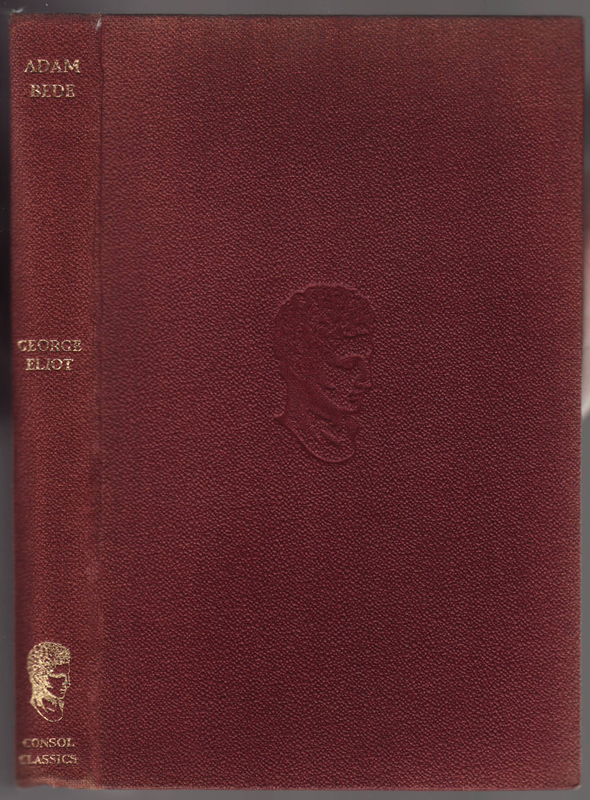 Bindings are in a maroon plasticized material with gold typography and a debossed series colophon. 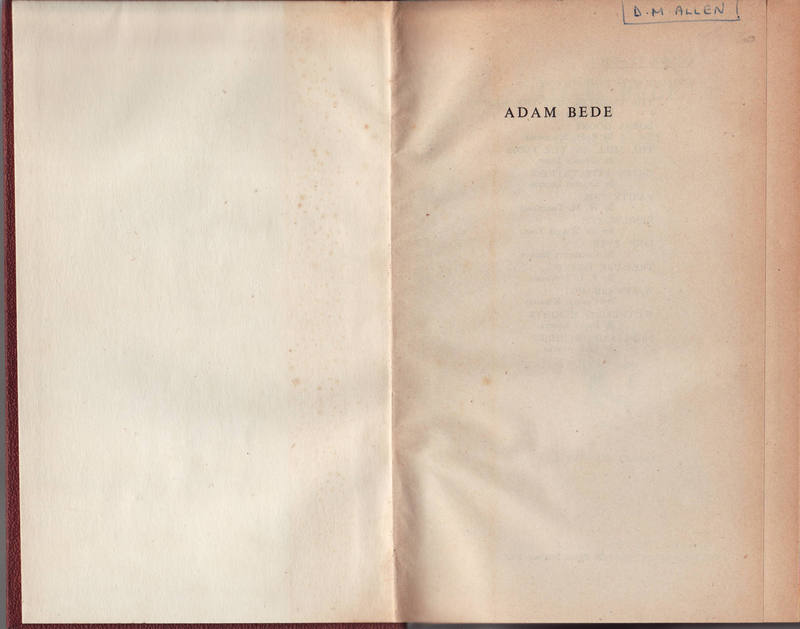 As with cheap reprint series of the 1920s and 1930s, there are no endpapers and the half title page is the initial page in the book. The list of 11 titles, again not including Adam Bede, faces the title page. 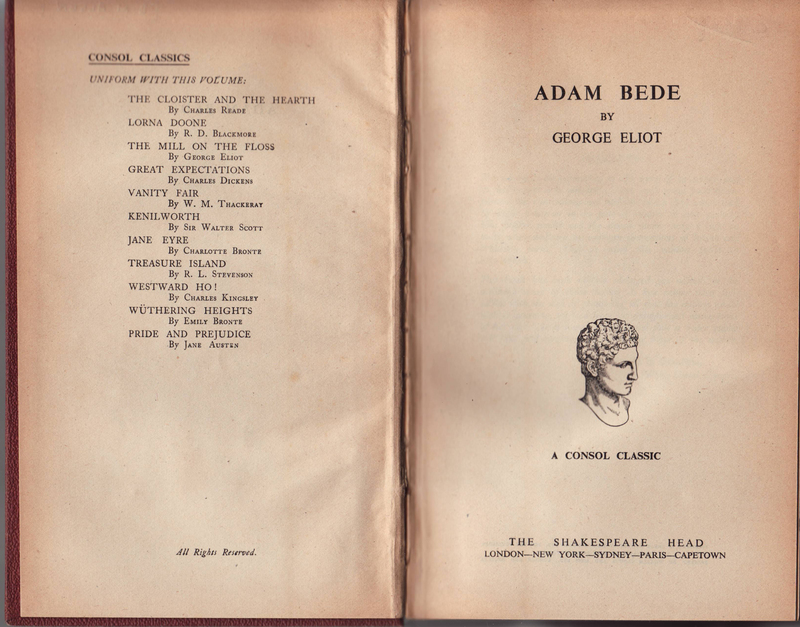 The title page includes the series name and colophon along with the Shakespeare Head imprint. 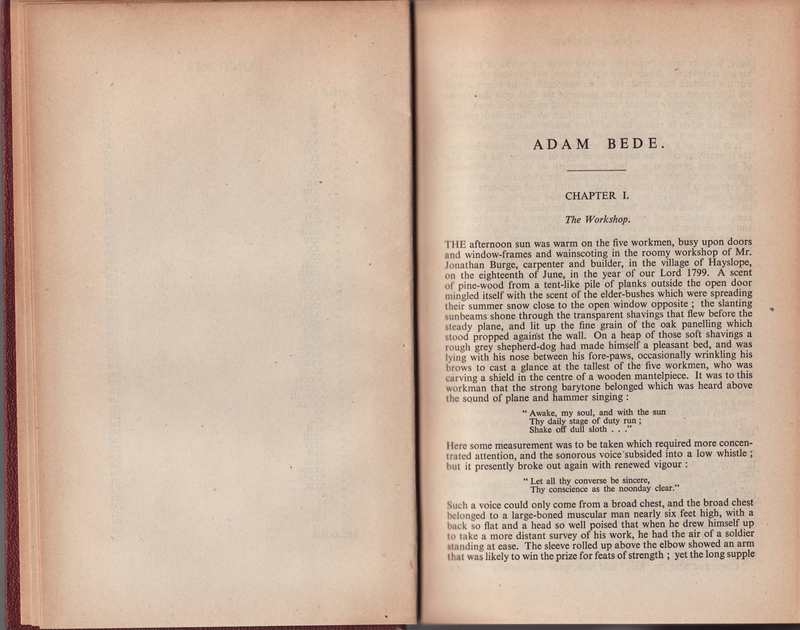 “Produced in Great Britain by John Langdon Ltd. for the Publisher, Shakespeare Head Press (PTV.) Ltd. Printed by William Clowes and Sons Ltd., London and Beccles.” I have no idea what “PTV” means in this context. A forward from the series editor, Harold S. Goodwin, lauds the quality of the series. 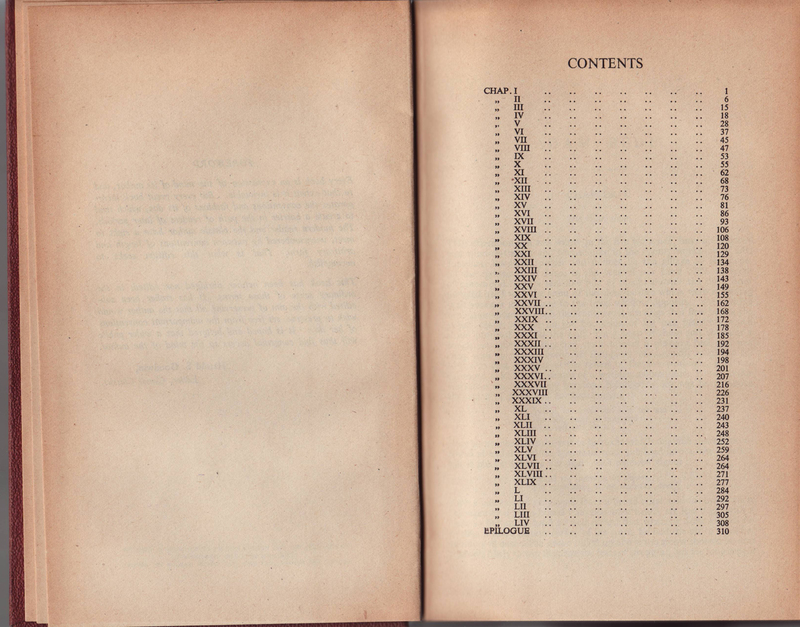 The daunting and largely unnecessary table of contents.